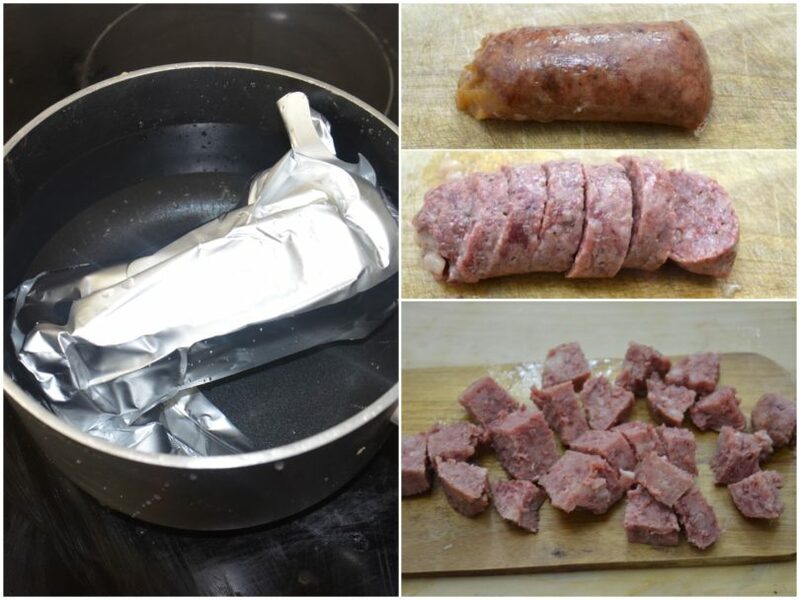 Cook the cotechino in a saucepan with plenty of water. If you use fresh cotechino cooking times are longer, depending on the size. In case you have chosen to cook a precooked cotechino, the cooking time is about 15 minutes. Once cooked, remove the silver envelope and then the skin, and slice it. Prepare the lentils. 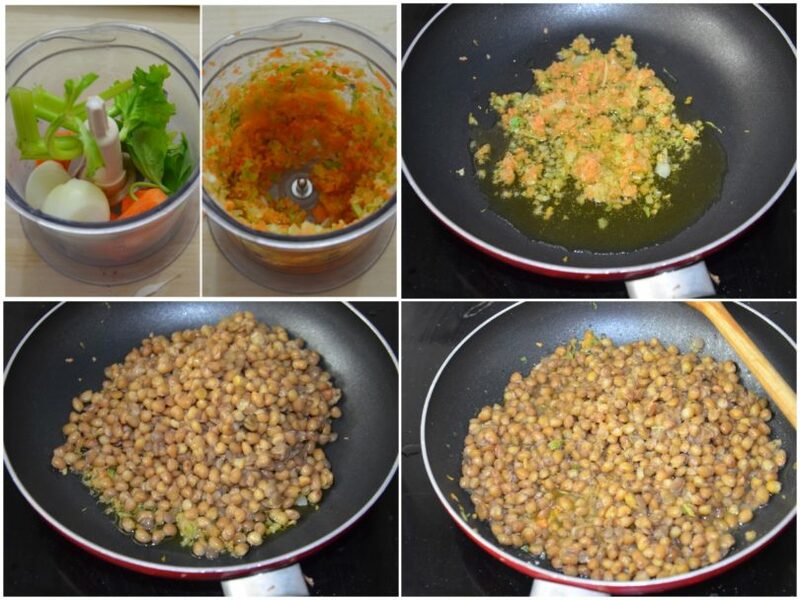 Prepare a mixture of celery, carrot and onion and fry in a pan with the oil. Add lentils and salted, flavored with rosemary and cooked, pepper to taste. 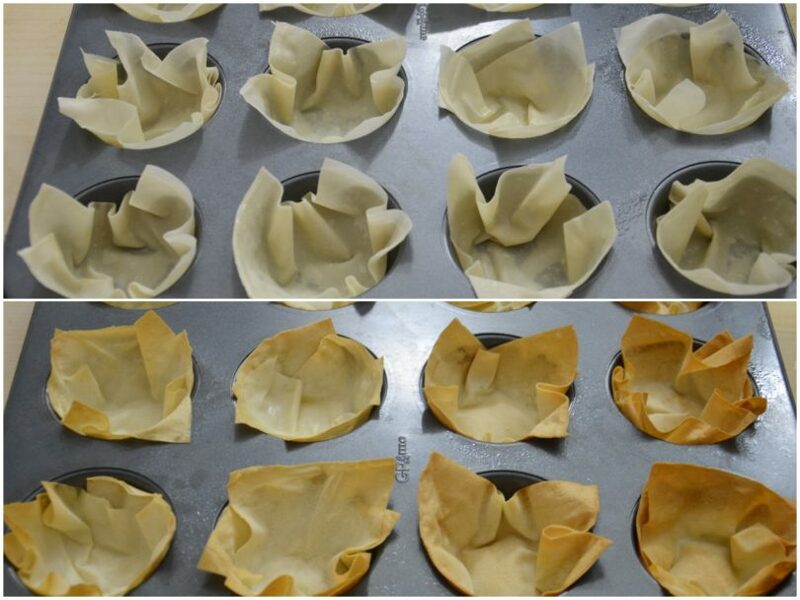 Prepare the baskets of filo pastry by brushing the first sheet of phyllo with oil. Overlap the second sheet of phyllo and brush it too. Cut out regular phyllous squares and place them in the molds as a basket. Bake in ventilated oven at 180 degrees for a few minutes, checking visually. Pasta fillo cooks very quickly! Let it cool before unmolding and set aside. 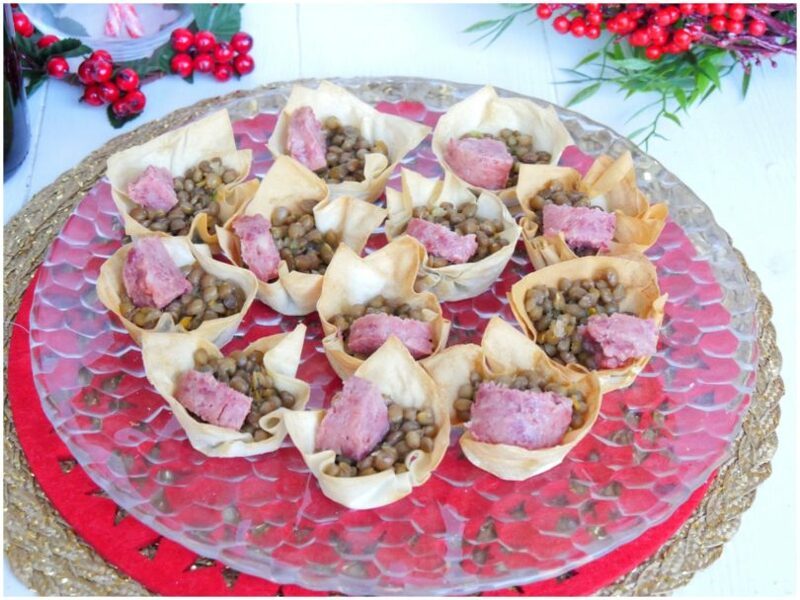 Just before serving, fill the fennel baskets with lentils and garnish with pieces of cotechino. Set the oven to Gas Mark 6 or 200°C. 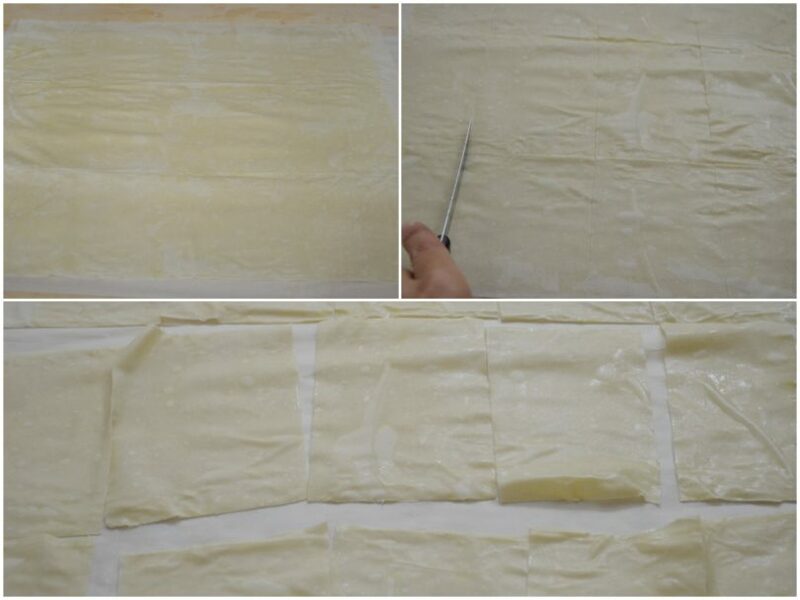 Cut the stack of filo pastry sheets into 10cm (4in) squares. Cover with cling film while you work with them. Layer up 4 filo pastry squares in the base of a tin, brushing each layer with butter and arranging the pastry at alternate angles, like the points of a star. Repeat with the rest of the pastry to make 8 tarts. Bake for 10 mins until crisp and golden. 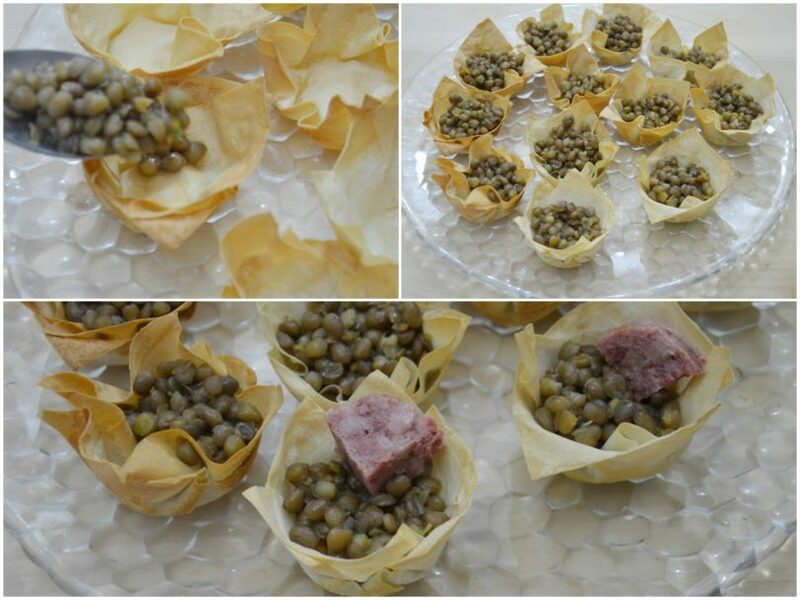 Spoon the mincemeat into the filo tarts and push several cranberries into each one. Bake for 5 mins, just until the cranberries are softened slightly.